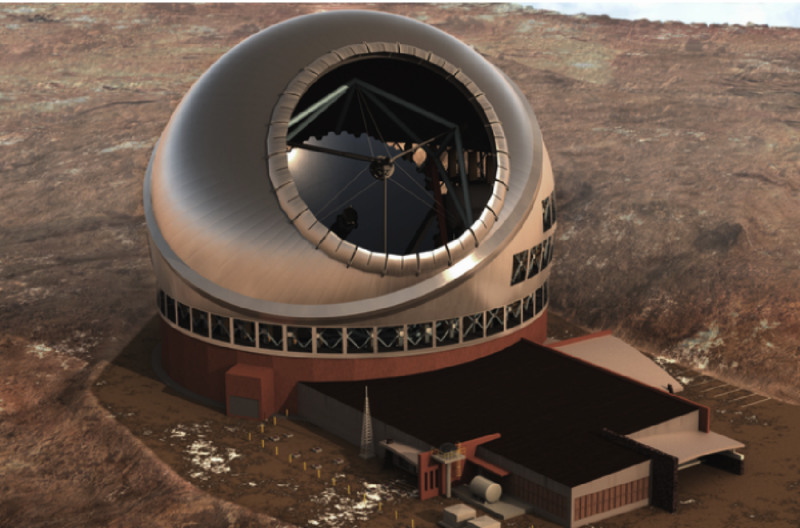 IRIS is a first generation near-infrared (0.84-2.4 μm) instrument being designed to sample the diffraction limit of the Thirty Meter Telescope (TMT). 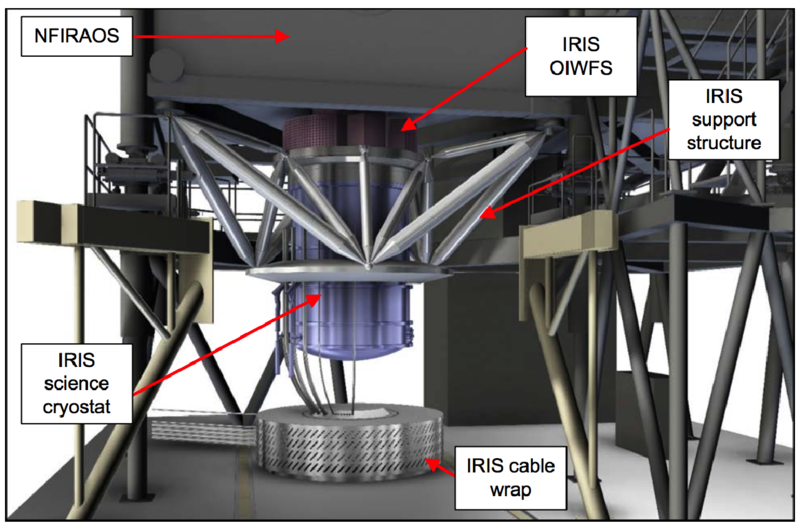 IRIS will include an integral field spectrograph (R = 4000 - 10000) and imaging camera (34"x34"). 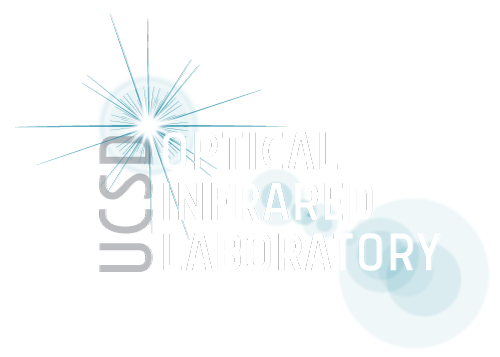 Both the spectrograph and imager will take advantage of the high spatial resolution achieved with the Narrow-Field Infrared Adaptive Optics System ( NFIRAOS ) at four spatial scales (0.004", 0.009", 0.025", 0.05"). IRIS will achieve an angular resolution ten times better than images from the Hubble Space Telescope, and will be the highest angular resolution near-infrared instrument in the world. The purpose of an integral field spectrograph (IFS) is to acquire spectra over a two-dimensional area of the sky, where for each spatial location (or dissecting element) a spectrum is produced. IRIS is designed with two spatial sampling techniques, lenslet array and mirror slicer, to optimize the best quality spectra with both high throughput and low wavefront error. Both the lenslet array and slicer optics are fed into a single spectrograph, and share similar optics (i.e., TMAs, reimaging optics, gratings, filters, and detector). The lenslet array is used for the finest spatial resolutions (0.004", 0.009") and the mirror slicer is used for the coarsest spatial resolutions (0.025", 0.05"). 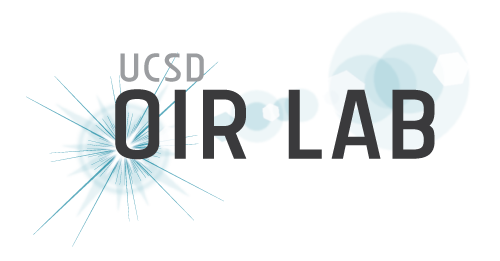 When delivered, IRIS will have a fully packaged data reduction pipeline for real-time reductions during observations and final reductions for user astronomers. The near-infrared (0.84 - 2.4 μm) imager will have a spatial sampling of 0.004" per pixel with a total field of view of 34" x 34". The optical design has been optimized to achieve the lowest wavefront error (~30 nm) in order to sample the high spatial resolutions achieved from the adaptive optics system, NFIRAOS. The leading science cases for the imager require a high level of astrometric precision (e.g., Galactic Center, star forming regions,). 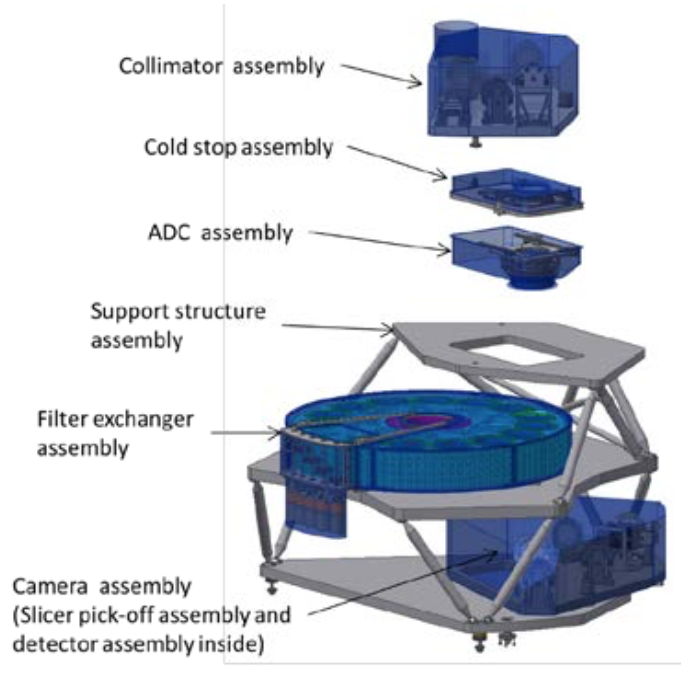 The imager is expected to achieve an astrometric absolute accuracy of 2-4 mas and relative accuracy of 30 μas. IRIS will house low-order wavefront sensors (WFS) that will be used by NFIRAOS to monitor tip-tilt, astigmatism, and focus. 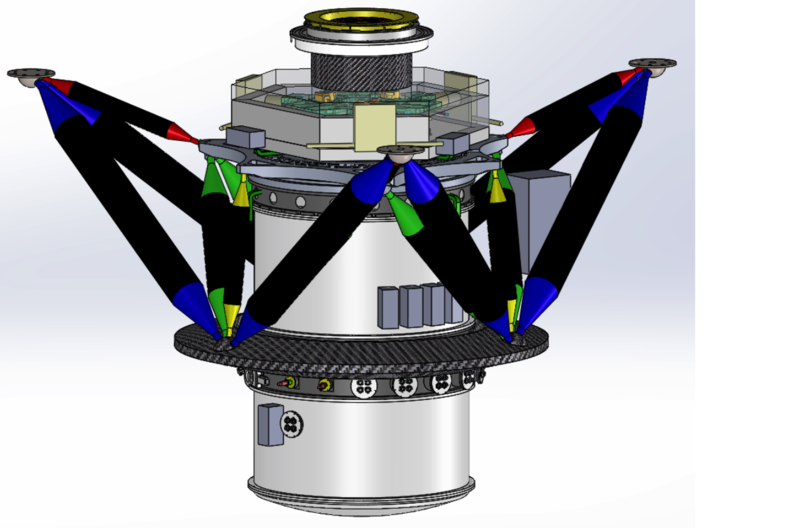 IRIS will have three WFSs, which will sample stars as faint as J = 22 mag over a 2 arcminute field-of-view (FOV). The WFSs must be deployable over the entire FOV to maximize sky coverage, and allow for optimum AO correction (the best correction is obtained when the WFSs are deployed symmetrically about the science target). 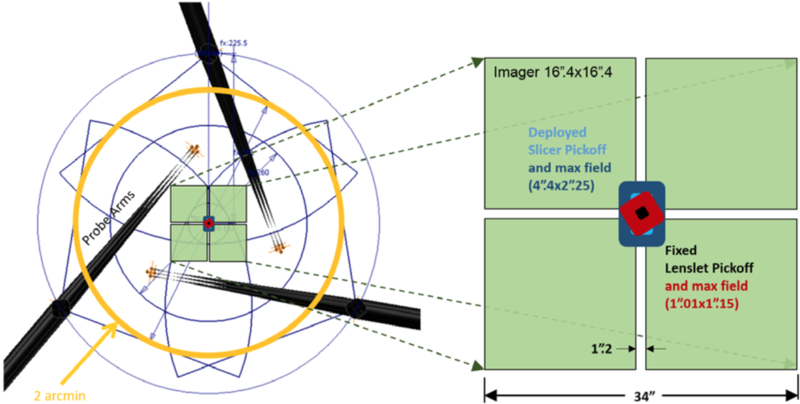 The figure below shows the geometric configuration of the three tip-tilt guide arms and the locations of the IRIS imager and spectrograph. Right: Geometric configuration for the three wavefront sensor arms that can be positioned over the entire 2 arcminute field-of-view. 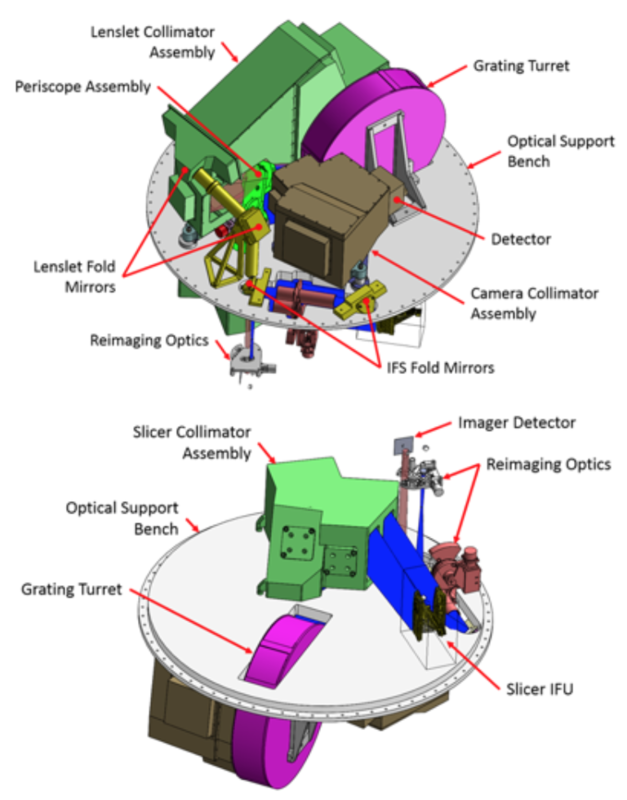 The IRIS imager (green) is and the integral field spectrograph slicer (blue) and lenslet (red) modes. 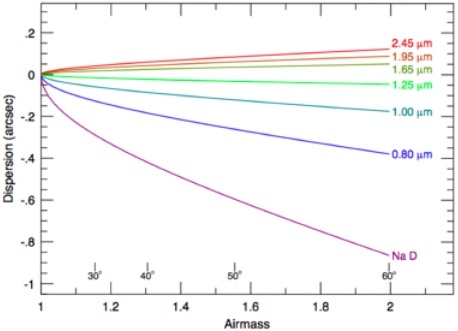 One of the challenges of generating an instrument with high angular resolutions (0.004") is compensating for the dispersion that occurs within Earth's atmosphere. In order to counter this effect IRIS will house an atmospheric dispersion corrector (ADC) in front of IRIS science's dewar. It will use real-time knowledge of atmospheric conditions (temperature, pressure, humidity) and optical elements to correct for dispersion over varying observing elevations. Left: Atmospheric dispersion that occurs for six different wavelengths over varying airmasses. IRIS's ADC will be able to correct for these observed dispersions over the entire near-infared wavelength range (0.84 - 2.4 μm).